The cakes kept coming out too small, too dry, too dense. Friends and relatives complained that Youlen Chan's baking was not like his father's. 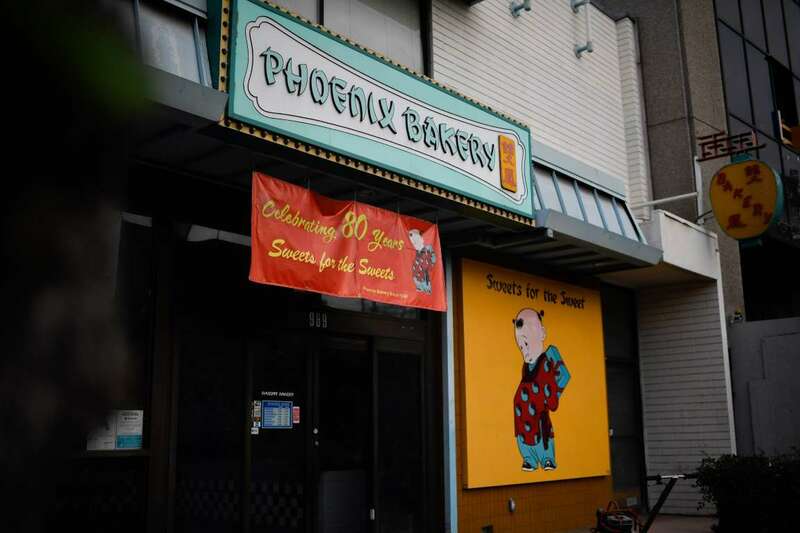 Phoenix Bakery, shown on July 12, 2018 in Los Angeles, is celebrating 80 years under family ownership after Youlen Chan took over the business from his father in the 1980s. As a newly minted graduate of the American Institute of Baking taking over his family's business, Youlen had no choice but to try again. By the time he took charge in 1979, Phoenix Bakery had become a Chinatown institution, and his father's strawberry cake - two sponge rounds separated by a generous helping of strawberries, coated in lightly sweet cream frosting - was the bakery's star product. "The cake was good, but it wasn't 'Phoenix cake,'" Youlen said of his early efforts. "It wasn't like his." [post_ads]It took Youlen, now 62, more than a year to finally figure out his dad's recipe. His father, Lun Chan, left no blueprint beyond a list of ingredients. It was a struggle that would seem familiar to any of the descendants of Phoenix Bakery's original founders: uphold the family legacy, but without specific instructions about how. "A lot of things in Chinese families are not necessarily said. 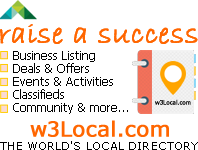 Our parents never said, 'Go to school and get good grades,"' Kathy Ceppi, whose father, Fung Chow Chan, and mother, Waihing, started the bakery and were soon joined by Lun. "But you did it, because it was understood." Phoenix Bakery, one of five remaining businesses that opened when Chinatown was established, turns 80 this year. Its survival has required the collective efforts of a far-flung multigenerational Chinese-American family that includes a pediatric therapist in Bel-Air, an engineer in Silver Lake, an accountant in Palos Verdes and a communications professional in Arcadia - not to mention their sons, daughters, husbands and wives. Elsewhere in Chinatown, Phoenix Bakery's contemporaries have not been so lucky. Ma Jen Low, established in 1878, closed a while ago when the last remaining family member involved with the business could no longer endure the long train rides from Orange County. A group of aging brothers trade shifts to keep the gift shop KG Louie open for a few hours a week, unable to lure their children into the business. As Chinatown and other historically ethnic communities confront gentrification, rising rents and changing demographics, the question of who takes over the family business becomes an existential one. What happens to the neighborhood when its sons and daughters leave? Phoenix Bakery was established in 1938 at a time when racist laws and practices prevented Chinese immigrants from getting bank loans, owning homes in most neighborhoods and reuniting with their families from abroad. Waihing suggested opening a bakery to remind people of the things they had to celebrate. The family primarily sold Cantonese sweets such as sesame and almond cookies to chop suey restaurants and dime stores. A few years later, Lun Chan invented the strawberry cake that would establish the bakery as a Chinatown institution by the 1960s. Lun, Fung Chow and Waihing never asked their children to take over the bakery. But the lack of discussion did not make the next generation's sense of obligation any less palpable, said Kenneth Chan, Fung Chow and Waihing's second-oldest son. Their parents set an example of sacrifice and work ethic that each child was expected to live up to. "My dad has always preached this to me: Remember where you came from," said Kenneth, 66. All of the children worked as soon as they were old enough to be useful. They dipped butterfly cookies in sweet glaze and washed cake pans. "You never talked back or said it was boring. Anything that needed to be done, you just did it," Kathy said. Fung Chow was an innovative businessman who helped launch East West Bank and Cathay Bank to serve Asian immigrants who were discriminated against by other financial institutions. He became one of Chinatown's most well-known figures, and his legacy loomed large over each of his children's lives. So many in Chinatown relied on Fung Chow's banks for loans and celebrated their birthdays and wedding anniversaries with Lun's cakes. Guest lists at Chan family weddings and funerals ran into the thousands. And though Lun, Fung Chow and Waihing never put any pressure on any of their children to keep the bakery going, aunts and uncles lectured them on the importance of keeping the family business alive. "They never pressured any of us to make the bakery our full-time life," said Doulen, Lun's oldest son. "But they never made a plan to sell the place. They never even talked about it. So we knew." [post_ads]Doulen studied at UCLA and became an engineer for Hughes Aircraft. Leland, Lun's youngest son, became a medical technician. And so the apron fell to Youlen, who was at the time a "total bum" who didn't have much of an interest in school. Youlen dreamed up an ambitious commissary to rival Porto's, the local Cuban bakery chain, creating plans for a centralized baking facility with multiple satellite locations in Lincoln Heights and Echo Park. He persuaded the family board to invest thousands of dollars in new equipment that would allow the bakery to produce far more cakes and pastries with much less work. "I wanted this place to get really, really big," Youlen said. But his new machines and college-educated production methods failed to reproduce his father's strawberry cake. He consulted his professor at the American Institute of Baking and experimented with adding ice to the mixture to help control the temperature. He contacted the equipment manufacturer, which sent a technician out to puzzle over the machinery. But the cake still came out flat. Youlen started coming in on weekends and his days off to bake cakes, laboring to create sponge that was as airy as the original. He began to dread seeing his father. "It was never, 'Hey, how are you doing, how are the kids?'" Youlen said. "It was always, 'How come you're baking so much? Why are you charging so much for the butterflies?'" Each morning he would arrive at the bakery around 9 a.m., tuck his surfboard behind some crates in the warehouse, then bake and ice cakes until dusk. If there was still daylight, he'd drive down to Malibu and do the one thing that eased the stress of honoring his father's legacy: surf until it got dark. Finally, he figured out that pumping the batter through the machinery was forcing the air from the mixture. Youlen adjusted the configuration of the machines, and one day, out of the oven came a cake that resembled his father's. Youlen's hard-won victory did not elicit a visible reaction from his father. A World War II veteran, Lun Chan "didn't say much unless you screwed up," Youlen said. Youlen understands that his labor eventually allowed his father to retire. But up until the day he passed away in 2016, his father never expressed any sentiment about his son following in his footsteps, Youlen said. On a recent weekday, Kathy, her brother Kenneth and Youlen sat around a table in the bakery and reminisced about their experiences working there. Pay was 99 cents an hour, minimum wage at the time. Shifts were mandatory, and complaining was not allowed. Eventually, the subject of their parents came up. "Your dad was proud of you, though he might not have told you," Kathy told Youlen. "He told me." "Yeah, well," Youlen said. "It was the kind of thing where you knew they were happy but they never came out and said it." But as he fell silent, the corner of his mouth slowly sloped into a smile. Fung Chow Chan died in 2001, and Lun Chan passed away in 2016. When Fung Chow's oldest son Kellogg passed away last year, the family began to seriously consider the long-term prospects of the bakery. Foot traffic across Chinatown was declining, and the bakery on North Broadway needed both renovation and innovation. "Are we going to be the generation that's known for letting our parents' legacy die?" Kenneth remembers asking. Over the years, the natural orbits of their lives had taken the family farther and farther from Chinatown and the bakery. Demanding careers left less time to help out Youlen at the bakery. When Chinatown's premier banquet venue, Empress Pavilion, closed, the family's annual Chinese New Year's celebration moved to a dim sum restaurant in Monterey Park. Most of the second generation moved to the suburbs, seeking affordable homes and good schools for their children. Their connections to Chinese culture had also faded with time. Eric Chan, Fung Chow's grandson, elected to play sports over attending Chinese school on Saturdays. Kathy gave birth to Andrea Purcell, the family's first mixed-race child. Spanish is spoken more commonly than Cantonese in the third generation. When the family visited China a few years ago, it was as American tourists clad in matching bright red T-shirts that read "Chan Family Tour 1991." But the third generation grew up in the ever-lengthening shadow of the bakery's legacy in Chinatown, celebrating their birthdays with its cakes and watching Chinese New Year's parades from its windows. Many of them have stepped up to help keep the bakery alive. Eric, a finance executive with Kaiser Permanente, serves on the bakery's managing board and launched a review of its finances. Melissa, Lun's granddaughter, runs the bakery's Facebook and Instagram accounts. Tiffany, Fung Chow's granddaughter, helped build the website and makes marketing suggestions. And Andrea Purcell, Fung Chow's oldest granddaughter, now brings her son and daughter to help at the bakery. For Purcell, the best legacy of the bakery isn't the cake or the cookies - it's the family that came together around it. "Growing up, I had this massive Chinese family that was everywhere, and we saw them all the time," she said. "It's of greater value to me that we are a family, than having this business."